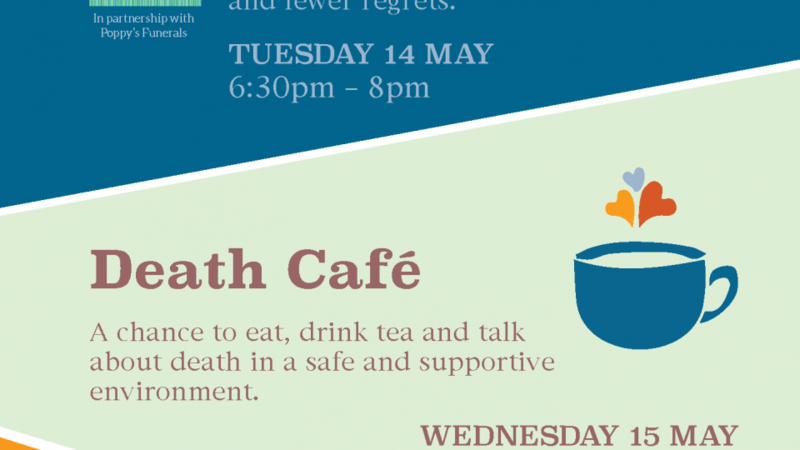 In partnership with Poppy’s Funerals, join us at Trinity on Tuesday 14 May 6.30pm-8pm for an uplifting conversation about how the experience of death can enable us to live a richer life with more meaning and fewer regrets. Hear from a panel of guests who will share what they have learned about living fully from working in close proximity to those who are dying and those who have died. The panel will be facilitated by Michael Savage, Trinity’s Spiritual Care Lead and will include Isabel Potter, Head of Operations at Poppy’s Funerals and Isatta Sisay, Deputy Head of Community Services at Trinity. Additional panellists will be announced in due course. This event is free, but please book to reserve your place on our website linked below or by getting in touch on 020 7787 1010 or at media@royaltrinityhospice.london, as our Dying Matters Week events are always oversubscribed. Refreshments will be provided.